Last year, The Turtles filed a class-action lawsuit against SiriusXM Satellite Radio for nonpayment of artist performance prior to 1972. Since the filing, record labels, artists and now states have jumped on board to bring change for so many legendary musical artists. Read the latest news (with quotes from Mark “Flo” Volman) about it here. can you add me to your newsletter? We don’t have a newsletter, but check back to the website often for updates. Go get ’em, guys! It may be just a money issue in your case, but you certainly deserve compensation. A little respect wouldn’t hurt, while we’re at it. Matters like these are a constant in performing arts. In my racket, it’s the blatent copying of material. I recall a few years back, the lone surviving Coaster (now deceased) was fighting the name-grabbers. It’s nonstop disrespect for anyone in the performing end of artistry. Best of success in fighting the good fight. PS- I’ve enjoyed many Turtles shows over the years. Please bring back Flo & Eddie. That’s one of the very few acts I enjoyed even more than The Turtles! I haven’t seen THOSE two guys since around ’73 or ’74. Or ’75. Something like that…. I am a fan of the Turtles and other artists of their era, but I’m not sure that Sirius/XM is at fault here. It sounds like they’re just following the law. I do agree though, that the law should be changed to cover songs released before 1972. From the time I fall asleep till comes I dream about…NO Wait, Wait, Wait! That didn’t come out right. What I mean is that I grew up, but never got old, with your music. You guys and Paul Revere and The Raiders were my feel good bands. Still a huge fan and avid listener of your cds. 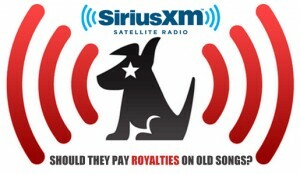 I am NOT a Sirius XM subscriber for the reason of your lawsuit. Without you guys (and the countless other artists before 1972), there would not be a 60’s on 6 XM channel. The young and talentless artists of today may fan the flame, but forget who shot the rocket out of the hole (a line from a Tom Johnston of the Doobie Brothers song on the World Gone Crazy Album called Young Man’s Game). I can’t listen to half of the S**t that is out today, so I still elect to listen to your S**t. Still the S**t of legends and an endless feeling of excitement that makes it possible to walk through life everyday. I just turned 60 and celebrated 38 years of marriage. We are still Happy Together! Thanks Guys for the smiles on our souls everytime we hear you. Good Luck with you suit. I hope it ends up fitting you well…. You go guys! Just read about this travesty. Didn’t realize that this was so. I agree with the others–you deserve to get paid for your performances. I am going to write a letter of protest to Sirius. When will you be playing in Sault Sainte Marie, Michigan? Love your records and heard you put on a great show. We have a casino here and we get acts like yours. You should know that there are a lot of Turtles and Mothers of Invention fans here in both Michigan and Ontario (our sister city is Sault Sainte Marie, ON, about 5 miles from here). I’m a recording artist with major hits in the late, late 50s and the early, early60s and one who gets pretty serious Sirius plays. I didn’t even know that this WAS an issue. SiriusXM will pay gazillions to Howard Stern to b’cast his bathroom humor and using the “f” word…. and won’t pay royalties to musicians of the 60s? I’m glad I’m aware. I’m done with Sirius and will never, ever subscribe again. Fortunately, GM installed a CD player along with the satellite radio receiver in my car, and I’ll buy CDs by Flo & Eddie and The Turtles and listen to those. I was once a rock and roll drummer in Upstate New York in the early seventies and had come on contact with many signed recording artists! How often I have heard that someone has had terrible difficulties getting paid for working so hard and creating wonderul music that has become a part of American History! This is disgraceful indeed! It is an out rage and if you can recoup what is rightfull owed to you so be it! We had a hit in 1968 with “Nobody But Me”. how can we get in the lawsuit? My dad and mom saw you guys play back in 67 or 68 in Medford oregon Super cool! And the band that opened for you is related to my family on my moms side. Im still trying to get the name of that band. Im sure my parents met you guys back stage. What a remarkable time that era and time period must have been. Im for sure gonna catch one of your 2015 shows next time your playing around Sacramento! Unfortunately the only ones that could get paid here are lawyers and the labels. Why is it such an issue now? Because they see a easier target with the digital players. Federal law could and should be changed in my opinion, but today follows the pre-1972 time frame. Sirius, Pandora, Spotify and the likes are not the issue and should not be the target. The target should be targeting the federal law. States trying to mandate a national issue is also the issue. Good luck guys. I hope the right thing happens and the law changes for all but hope these companies don’t have to pay for the mistake of Congress. Like punishing the child because of it’s parent. Skip, you nailed it. Let them all fight it out. It does not impact my life one bit. Big fan since the 60’s own about all your lp’s and have been to a lot of your concerts recently. It’s a shame the younger generation will never know who you are, after they close down all the internet radio stations and stop playing music on the standard bands. Understand how you feel, I remember back in 1969 I built a shed for my neighbor for $50, and I feel I should still be paid every time they open and close that door, since it’s still standing. Best of luck with your lawsuit.. I don’t listen to you guys much, but I do like that one song of yours that is probably the most played classic song on television. By that, I mean “Happy Together”. i wonder how much i can collect from all the music streaming companies!!! We need to hear the good music you make! Recently saw a video of Flo & Eddie doing The Beach Boys “Darlin’ ” w/ David Cassidy. AWESOME!!!! Just wanna say you guys are the greatest. Love listening to your flo and Eddy stuff. Hope you can keep it up….we’re all getting older. Here both you guys were under the weather,hope all is well.